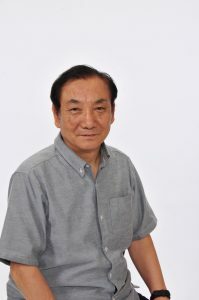 Hisashi has been producing a number of production from Okinawa, including Shimakuduchi which received an award from the Agency for Cultural Affairs for its artistic excellency, and strives to create original productions with the elements of performing arts in Okinawa. Hisashi has also actively produced international co-productions and established networks with arts organisations in Japan and abroad. 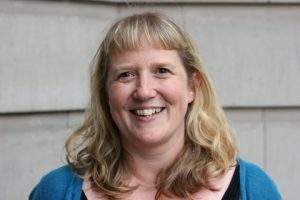 Luanne has been involved with playmaking and producing works for young people since 1999. 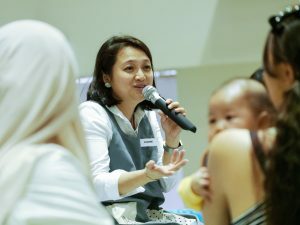 She is interested in creating platforms for designing thoughtful experiences for young audiences through the arts and is currently spearheading “The Artground – A curious place to be”, a dedicated arts centre for children in Singapore, developed in collaboration with the National Arts Council (Singapore). Inspired by the poem, 100 Languages of Children by Loris Malaguzzi, The Artground with its indoor and outdoor play spaces hopes to encourage curiosity, in adults and children, through play. 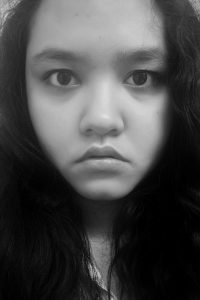 Adjjima Na Patalung is theatre director and producer splitting her time living and working in Bangkok and London. Her productions, “The Chairs” and “Boxes” won awards from the International Association of Theatre Critics Thailand. 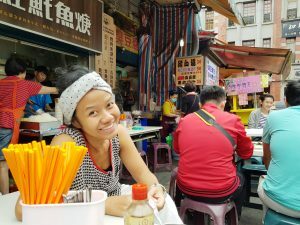 She founded Arts on Location in 2008 to support her increasingly growing work within the areas of intercultural exchanges and international mobility in theatre through producing new creation and advanced theatre workshops in London and Bangkok involving international artists from Europe and US, working in partnership with various organisations. Arts on Location works in collaboration with Democracy Theatre Studio to organise the biannual Bangkok International Children’s Theatre Festival (BICT Fest), for which Adjjima is taking the role of Festival Director. The first BICT Fest 2016 took place at the Bangkok Art and Culture Centre (BACC), and hosted award winnings performances from 6 countries. 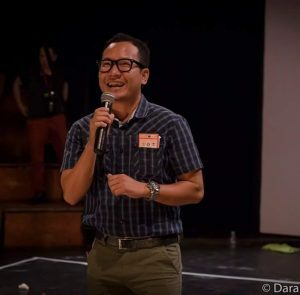 Dara leads and manages Phare Performing Social Enterprise (PPSE) in its mission of supporting Phare Ponleu Selpak school, providing professional opportunities for Cambodian youth and revitalizing arts in Cambodia. PPSE operates Phare, The Cambodian Circus which has nightly performances in Siem Reap, and Phare Productions International, which produces high impact private performances in Cambodia and around the world. Dara was a student at Phare Ponleu Selpak in 2001. He was later an interpreter at Phare and joined the first group of performing artists on awareness theater/circus performance tours to educate rural Cambodian populations on landmines, malaria, dengue fever and other public health and safety issues. Caleb Lee is a Theatre Educator, Producer, Researcher and Dramaturg. 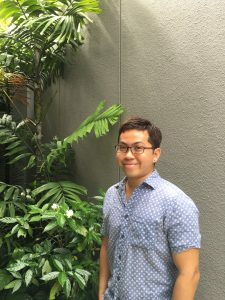 He is currently pursuing his PhD at Royal Holloway, University of London focusing on Theatre for Young Audiences in Singapore and Asia. 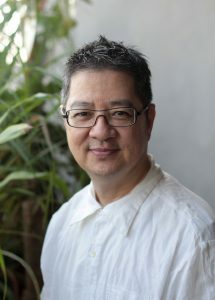 As an academic, he is on the Editorial Board for The Journal of Theatrex Asia and also recently established the Singapore Theatre for Young Audiences Researchers (STYAR).From 2011-2014, he was the Festival Manager for I Theatre’s ACE Festival, A performing arts festival dedicated to children and their families. He is currently the Associate Director of the company. Caleb specialises in international projects management and collaborations. He is also a Creative Associate of The Paper Boats project- an international partnership platform for performance-makers. Liew Kung Yu is one of the foremost names in Malaysia’s art scene famous for his works relating to issues about nationalism and Asian identity, as well as his involvement working with communities to push forward the cause of cultural identity and social freedom. With a background in graphic design, Kung Yu moved on to become an artist known for pushing the limits of the artistic medium. In the arts scene, he is renowned for his installation works which he has exhibited in group and solo shows both in Malaysia and abroad. Not just limited to the visual arts, he has been involved with theatre since 1987, collaborating with various directors to create and design sets and costumes for theatre and dance performances. Currently, he is very actively involved with the ATYA network and is currently working to develop his own children’s theatre festival, the ‘Little Door Festival’, which will have its debut soon in Malaysia. Maria Tri Sulistyani (an illustrator, writer and a former theatre performer) co-founded Papermoon Puppet Theatre with Iwan Effendi (a visual artist). Since 2006, this couple has been doing lots of experiments with the art of puppetry. 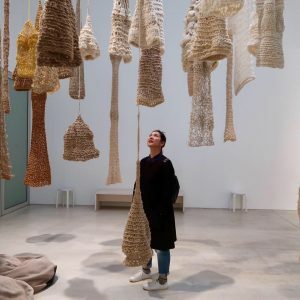 Based in Yogyakarta, Indonesia, in a country with world-renowned for its puppetry traditions, the young, expert artists of Papermoon are extending the form with their mixed-media productions and creating works that imaginatively explore identity and society. Not only making performances, Papermoon Puppet Theatre also presents its artworks through visual art installations, and shares its knowledge by making lots of workshops, and also initiated an international bi-annual puppet festival called Pesta Boneka since 2008. Papermoon has presented its artwork not only in Indonesia, but also in other places around the world. 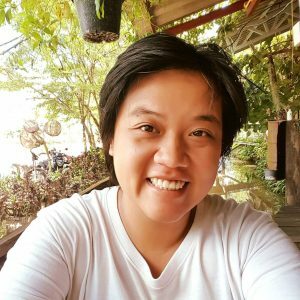 May Thet ZAW is a theatre artist, social activist, and outreach worker from Yangon, Myanmar. Her present job in media development with the experiences she has had working with international theatre artists during the last 10 years of her life has expanded her sociopolitical awareness, deepened her understanding of interpersonal and international politics, and ignited the artistic and activist inspirations that have led her to initiate and conduct social outreach workshops in which she uses theatre as a tool for building community among people who suffer from civil violence and conflict. In her work as International Program Coordinator, Ap designs and facilitates workshops for international participants, students, teachers, artists, and activists, with the goal of building cross-cultural understanding and motivating participants to take action towards solving global problems. Ap has worked in theater for over 10 years and cross-cultural exchange on applied arts for community development for 6 years, always with the intent to promote social change. She has conducted workshops toward this goal for participants from more than 20 countries. In 2006 Nao first worked for the International Theater Festival OKINAWA for Young Audiences (2005-2013: Kijimuna Festa / 2015-: ricca ricca*festa) as a volunteer interpreter. She continues to take part in the festival as a volunteer while she was studying in the UK and became a part-time staff when she came back to Japan in 2011. Nao became full-time in 2012 when the festival hosted the International Meeting of ASSITEJ (International Association of Theatre for Children and Young People). 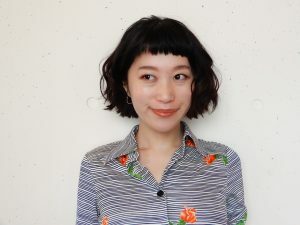 Nao currently works as the Assistant Producer/International Communication and is in charge of the international programme of the festival, as well as the international co-productions and networking programmes.